The third and final part of our favourite festive picks. There’s so many Christmas films we’ve not commented on but the ones we have find that perfect mix of festive nostalgia and great filmmaking. Behind the snow-covered scenery in Bedford Falls, there is a dark heart beating in this picture perfect American town. While this is not exactly the Lynchian nightmare as seen in Blue Velvet (though you could argue Potter is about as repugnant a villain as Frank Booth), Frank Capra explores in George Bailey a malaise and frustration that seems to become more relevant each year, as depression and mental illness continue to be alarmingly on the rise. This doesn’t sound like the makings of a festive favourite but it is oddly this essential ingredient that elevates It’s A Wonderful Life to its revered status as possibly the greatest Christmas film ever made. Through George’s increasing dissatisfaction with his compromised ambitions, leading to his pivotal suicide attempt on Christmas Eve, Capra leads the audience to a conclusion that explodes with joy and a tremendous pay-off of feeling. 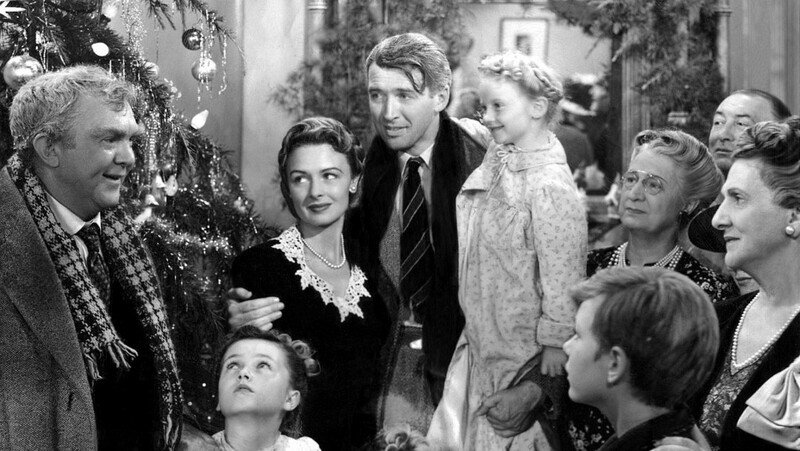 George Bailey, played sublimely by James Stewart, comes to realise just what is important in life and what he has truly accomplished when it appears, on the surface, that greed and capitalism outweigh the precious commodity of being a good human being. The film is also, in equal turns, funny, warm and engaging, reinforced by a sparkling script that rewards the investment required. Christmas, through Bailey’s story, can be a time we become lost, that the dreams and hopes of a year get scattered or crushed. But, through the darkness, seasonal reflection can also bring us back in from the cold. This really is a film about family, about friends, about cherishing substance and completely and totally about what Christmas should mean to us all. With the commercial elements of Christmas increasing by the year, Halloween has also followed suit and it’s quite commonplace these days to discover the two very different festivals side by side in the shops in mid October. 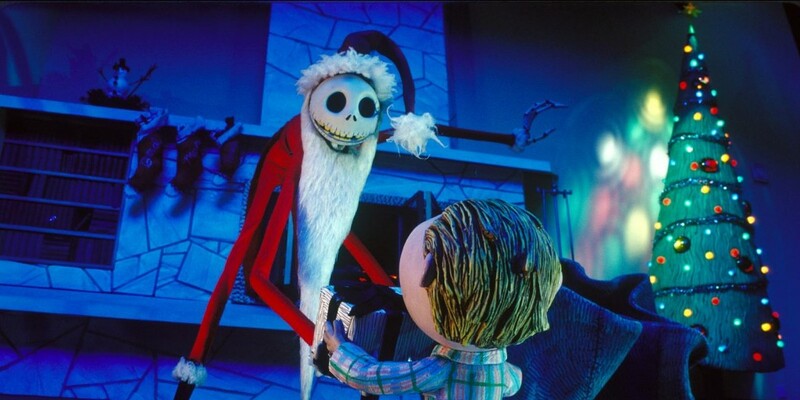 Yet the stark contrast of these two holidays as we’ve come to know them are wonderfully demonstrated in Henry Selick’s stop-motion animation as Jack Skeleton, bored of Halloween discovers Christmas before trying, and failing, to formulaic-ally create the magic of the latter. As is often the case, the imagination on offer is the real selling point but the animation still impresses, the humour still tickles and the songs are wonderful with Danny Elfman singing ‘What’s this?’ akin to a young child uncovering the magic of the festivities for the first time. This popular adaptation of A Christmas Carol is the perfect example of how to transfer a traditional story into a contemporary setting. 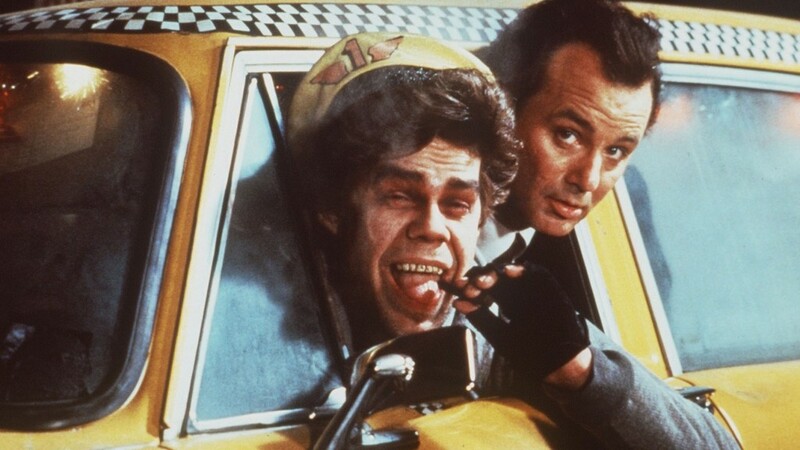 On one hand it’s the perfect vehicle for Bill Murray and on the other it’s script shows an intelligence and respect for the classic source material. The films post-modern approach sets the tone, playing the part of Scrooge is TV ex Frank Cross (Bill Murrary), we find him in the middle of a live production of A Christmas Carol that’s being aired on Christmas Eve. The awareness of Frank Cross is where the writers (Mitch Glazer & Michael O’Donoghue) really succeed. His reactions to seeing the ghosts of Christmas past/present/future adds cynicism and hilariously comments on the consequences of modern day stresses. He’ll blames the drink and responsibilities of being a successful TV exec. From the drunk ghost of Christmas past to the violent ghost of Christmas present, the comedy is consistently fresh and having seen it recently it’s fair to say it’s stands the test of time. The films finale is where it really justifies it’s place as a modern Christmas classic. Franks final monologue encapsulates what Christmas is about. It’s not about Black Friday, it’s not about maxing our your credit card, it should be about being willing and able to embrace something good. The best compliment I can give the film is the weight of emotion felt when young Calvin speaks for the first time, he utters the infamous line..God bless us, every one. it’s a scene we all know from A Christmas Carol but in Scrooged it’s feels like we’re experiencing it for the first time. The film can be summed perfectly in one line of dialogue, one that Bill Murray says with genuine passion and warmth, l get it now. This Friday 23rd December we’ll be sharing our films of 2016, be sure to revisit Outwardfilmnetwork.com .